If you like to stay on top of the newest restaurant openings in Dallas-Fort Worth, then you're pretty busy these days, because they are coming at a rapid clip. As a matter of fact, five restaurants have opened in February. Here are five restaurants to check out for those who must know what's new. Airy takeout spot in the Decorative Center at the corner of Oak Lawn Avenue and Hi Line Drive is now open. 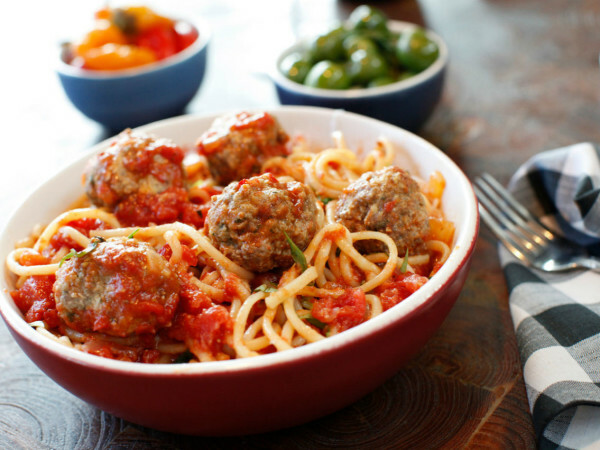 Go Go is the latest concept from Master of the Universe Tim Headington, and joins a campus with sister restaurants Wheelhouse, a gastropub, and Sassetta, an Italian restaurant, also owned by Headington. The menu includes pre-packaged salads and sandwiches in a refrigerated area as well as freezer case stocked with lasagna, meatballs, and gelato. There's also a daily assortment of pastries, breakfast tacos, granola and yogurt, roasted pear oatmeal, and avocado toast from Sassetta; and espresso drinks with Counter Culture Coffee. Baby chain from College Station has opened its first area location in Allen, at 102 Central Expy., in a former Pollo Tropical space at the southwest corner of McDermott Drive. Layne's is an A&M haunt founded in 1994, nearly identical to Louisiana chain Raising Cane's. It specializes in chicken fingers, which you can get in a plate, in a sandwich, or in a bucket. Other items on the very short menu include crinkle-cut fries, potato salad, and Texas toast. 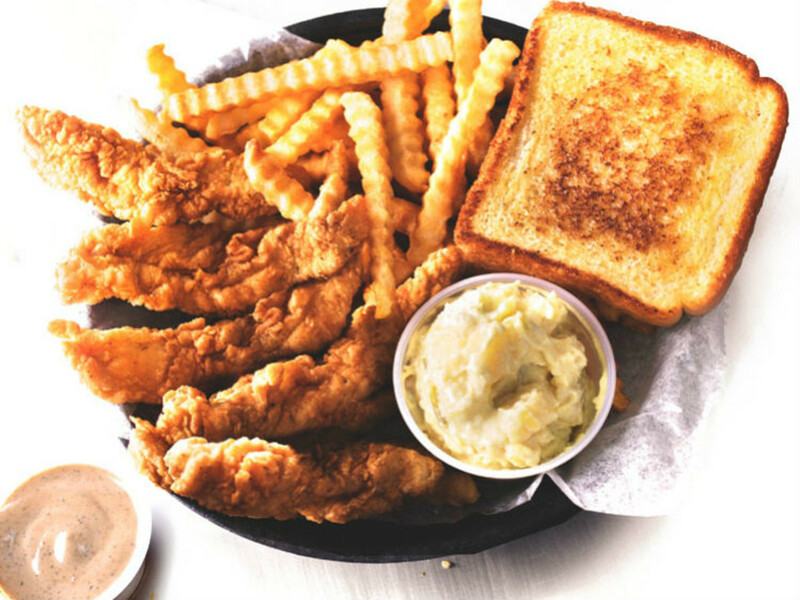 A plate combines all those things: chicken fingers, potato, and Texas toast. Concept from New York's Greenwich Village uses authentic Syrian recipes, in a menu starring the namesake falafel, plus shawarma, hummus, baba ganouj, and baklava. Founded by Mamoun Chater in 1971, the concept is now carried on by his four sons, who have continued to uphold their reputation for having the most authentic, flavorful falafel. 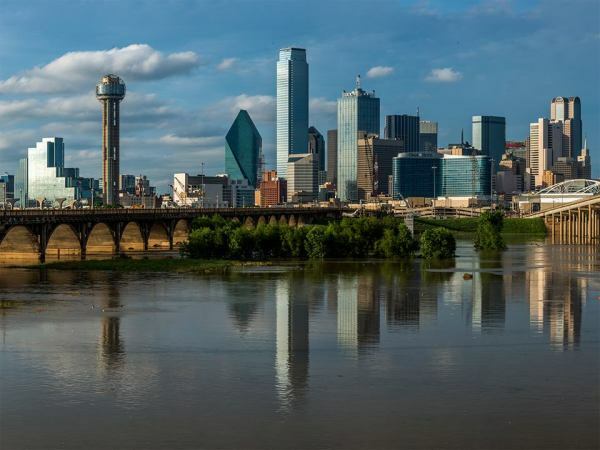 They've expanded the concept to New Jersey, Connecticut, Chicago, Atlanta, Northern California — and now Dallas, where it will open at 3839 McKinney Ave., in Dallas' West Village, on February 10. The former Top Knot is now Tyson Cole's Uchiba, combining "Uchi," which means house in Japanese, and "Ba," the word for bar. The updated space has a sushi bar and yakitori grill. Familiar menu items from Uchi will appear on the Uchiba menu, alongside new offerings. Mediterranean restaurant from famed chef José Andrés is now open at the Dallas Cowboys facility. It's Andrés' first restaurant in Texas and the second location of Zaytinya, a Washington, D.C. destination known since 2002 for its Turkish, Greek, and Lebanese cuisine. Its menu features shared plates, cocktails, and Mediterranean wines. Dishes include beef and lamb meatballs, pork belly souvlaki, spice-rubbed lamb kebab, beef and bulgur wheat kibbeh fritters, lamb rib chops, lamb shoulder, grilled whole boneless branzino, Rosewood wagyu ribeye, hummus, tzatziki, beet salad, chicken soup, seafood mezze, falafel, Greek olives, and more.